Setting up an online membership site for your business can be very lucrative. 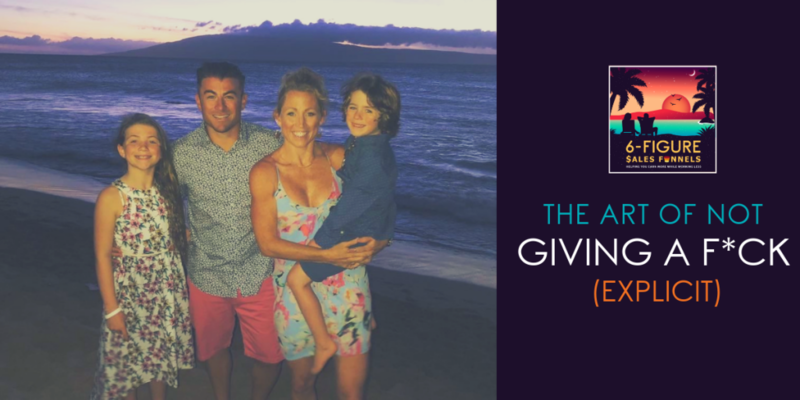 Instead of spending all of your time working 1-on-1 it allows you to create a recurring revenue stream that leverages your time. And instead of working locally, it allows you to make a bigger impact by reaching clients all over your state, country, and the world. 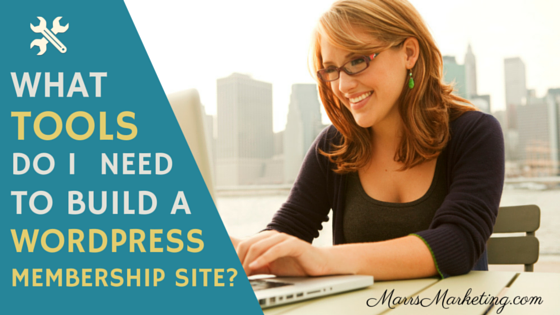 Ready to Start Your Membership Site? 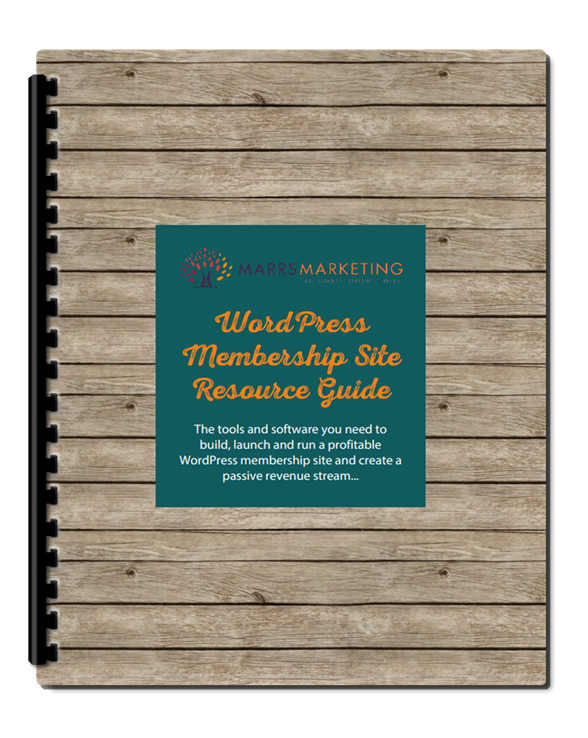 Your FREE Membership Site Guide has been sent! Running own membership site can be fun and incredibly profitable... but if you've never built one it can be a frustrating technical nightmare. Join us for our next Membership Site Builder Bootcamp and build membership site fast, without the confusion and frustration! But if you've never set one up before, just the vast number of options when it comes to membership software can be confusing and overwhelming. So instead of spending the next three months comparison shopping and trying to figure out which tools you need to string together to create a membership site, let me save you some time and money by giving you two great options that will work beautifully for virtually any small to medium-sized business. Ok so let's just establish this right up front – building a profitable membership site is going to cost you *some* money. I'm assuming you're here as a business owner who understands there is always a cost to doing business. This option just happens to be slightly more affordable. It's what I would recommend if you're just dipping your toe in the water of membership sites and are on a shoestring budget. That being said, this is the exact configuration I used for years before I upgraded to Option #2. #1 Hosting. If you have a website there's a good chance you already have this… high five! If you don't, save yourself some time, energy and frustration and go with A2Hosting. (I'm not going to get into why right here, but you can read more on our Resources page). #2 WordPress. Again, if you have a website, there's a good chance you're rocking WordPress… high five again! You can skip this step. If not, just login to the cPanel of your hosting account and use the WordPress installer… it only takes 5 minutes. #3 Theme. You can use any theme you want, so if you have an existing site already in place don't feel like you have to completely redo it. However, I'd still recommend using the OptimizePress 2.0 plugin which will allow you to set up a really good looking private members area with simple navigation. #4 Membership Site Plugin. This is how you make your content private and only accessible to members. WishList Member is trusted by more than 50,000 sites and it does everything you need a membership plugin to do, including integration with all of the popular payment processors, email autoresponder services, as well as the ability to create unlimited membership levels and drip content. The plugin comes with dozens of video tutorials making it relatively easy to set up. Another great option is MemberMouse, but with their monthly fee, you're starting to drive up the cost. #5 Email Integration. You need a way to keep in touch with your members and let them know when new content is available. 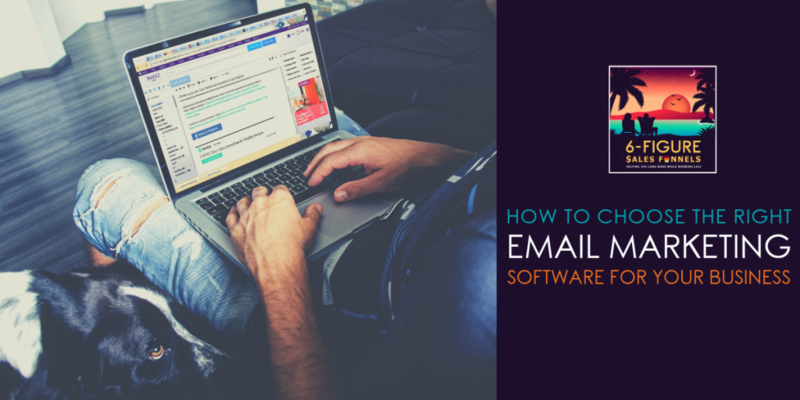 For this, you'll need an email autoresponder software. My top pick for this is GetResponse – they are affordable, and come complete with beautiful, mobile responsive email templates. Aweber is another option and one I used for years. GetResponse and Aweber both fully integrate with WishListMember, I just find GetResponse a little more user-friendly, prettier and slightly more affordable than Aweber. Both are great options so if you already have one, stick with it. #6 Lead Capture Pages & Sales Pages. Not part of the membership site exactly, but selling your site is just as important as building it. Trust me, you'll need the ability to create lead capture pages and sales pages. OptimizePress 2.0 can create nice pages, but if you're just getting started, I'd recommend LeadPages. It's a lot more user-friendly and the pages convert well right out of the box. OptimizePress is a little more advanced and will take some tweaking to get it looking the way you want it to. #7 Payment Integration. You're going to want a way for people to pay to access your membership. The most common options (and the ones I have used for my own sites) are PayPal Business and Stripe. Both options are free – you just pay a small transaction fee ($0.30 per transaction + 2.9% in the US). My preference is Stripe, but it does require that you have an SSL certificate set up on your site (about $50/year, purchased through your hosting account), which allows you to securely process credit cards directly through your site. Both payment processors integrate with WishList Member. Once you've got all of this setup, all you need to do is add your valuable content and voila! You've got yourself a fully functioning membership site ready to take new members! If you have a more established business, it makes sense to go with a more streamlined option. This is the configuration I currently use to run and manage all of my membership sites, and it saves me a ton of time. Instead of having separate services for the membership site plugin, email integration and payment processing I use Ontraport to handle everything. Ontraport is an all-in-one business solution that allows you to manage your entire business from one place. If the idea of getting three different services to integrate and communicate seems overwhelming, you might want to take a serious look at this option. Ontraport handles everything – from hosting your membership site, to lead capture and sales pages, to membership access, to content delivery, to email follow up and payment processing. It tracks all of your revenue as well as your customer's interactions with your site. If option #1 is a Lexus, Option #2 is a Tesla Model X (which is my dream car by the way 😉 ). It's a more expensive option, but because it handles everything it's the fastest to set up, and once in place, gives you virtually hands-free operation. This solution extends far beyond just your membership site – it can handle all of your customer relationship management, billing, list-building, follow up, lead scoring and collections. It's like having a virtual assistant working 24/7. So for about $10 a day, I'd say it's a massive value and I wouldn't operate my business without it. Here's the thing; I'm a big fan of simplicity… I'll bet you are too. Option #1 works great if you're very techy and don't mind digging in to integrate all the different software you're going to use to make it work. Or if you know someone who is and can do it for you. Option #2 is the ultimate in simplicity since there is no software to integrate. All of the functions are part of the same system. So if you don't know anything about API keys, and want to avoid trying to get a bunch of separate systems talking to each other. There's a learning curve to learn the software, but once you're up to speed this is a much more elegant solution. Here's a breakdown of the two options, along with the prices of the software I've mentioned if you're ready to create a subscription-based website, to give you a better idea of the cost difference. Here's my recommendation… if you can afford Option #2, go with Option #2. It's a turnkey solution that eliminates the need to integrate multiple different software solutions. You'll be able to manage your entire business from one dashboard (as opposed to three or four), get powerful insight into your prospects' and customers' interaction with your email and website, and will get access to powerful sales reports that show you in real-time how your business is growing. If you're just getting started and aren't ready to take on that extra monthly expense Option #1 is perfect. It takes a little more work to get it all integrated, but all of the software mentioned above works great and is well supported by their developers. 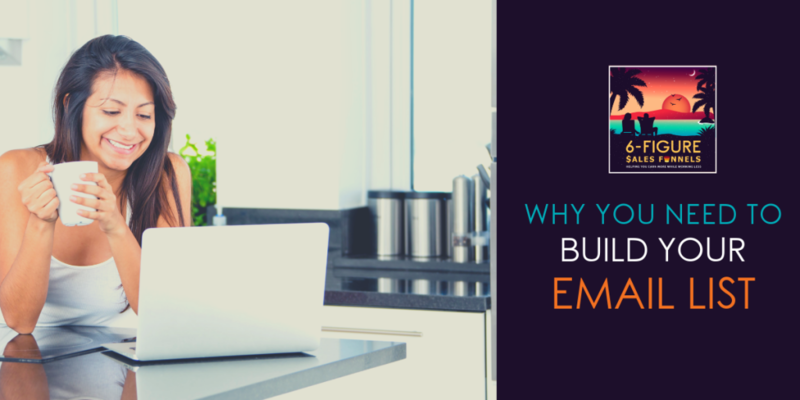 Want step-by-step video training on how to set this up for your business? Hi Marrs – thanks for the informative post. Could you help clear my doubts please – Can I use the OptimizePress 2.0 plugin on the same installation as the CourseCats theme? Hi Anthony, I’ve never used the CourseCats theme but I don’t think there would be a problem. Known plugin/theme conflicts are documented on OptimizePress’ knowledge base and CourseCats isn’t identified so you’re probably safe! Thanks for the speedy response Marrs. Cheers!